Gilbert Hus is a graduate of the Institut d'Etudes Politiques of Grenoble with Batchelor and Masters degrees in Economic Sciences. He also holds a post-graduate DEA from the Institut de Prospective et de Politique Scientifique. He began his career as a teacher at the Université des Sciences Sociales de Grenoble. He went on to create a cartoon publishing and distribution company and, with Jacques Glénat, founded the monthly cartoon magazine “Circus”. As a freelance journalist and commentator for press and radio, he was responsible for the launch and presentation of the “Rencontres FNAC” of Grenoble. He then became associate director of Synthèse ECA, a communications consultancy agency. In 1984, he founded G.H. Consultants (now GHC&A) and moved into the audiovisual field. He took part in the concept and presentation of the first TV cable broadcast of “Café Images”, then conceived and presented the first interactive game with “Angoisse”, broadcast as part of the prefiguration of the Ile d’Abeau. He then conceived and presented the game “Labyrinthe”, broadcast daily on TF1. Within GHC&A he produced and directed more than one hundred corporate films, billboards and TV commercials. He then created a department specialising in major events. In 1992 he founded the production company, Project Images Films, which he still runs today. In January 2000 he was also co-founder of Pictor Média, a production company specialising in animation. 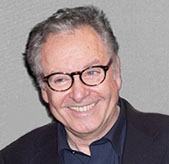 Gilbert Hus is also a guest speaker and specialist in coproductions between France and Asia (in Korea, the Philippines, Malaysia, Singapore, etc) and a member of the board of the CITIA (The Annecy Festival).